Yhelena Hall and Michael Hall are multimedia artists living and working in Chicago. 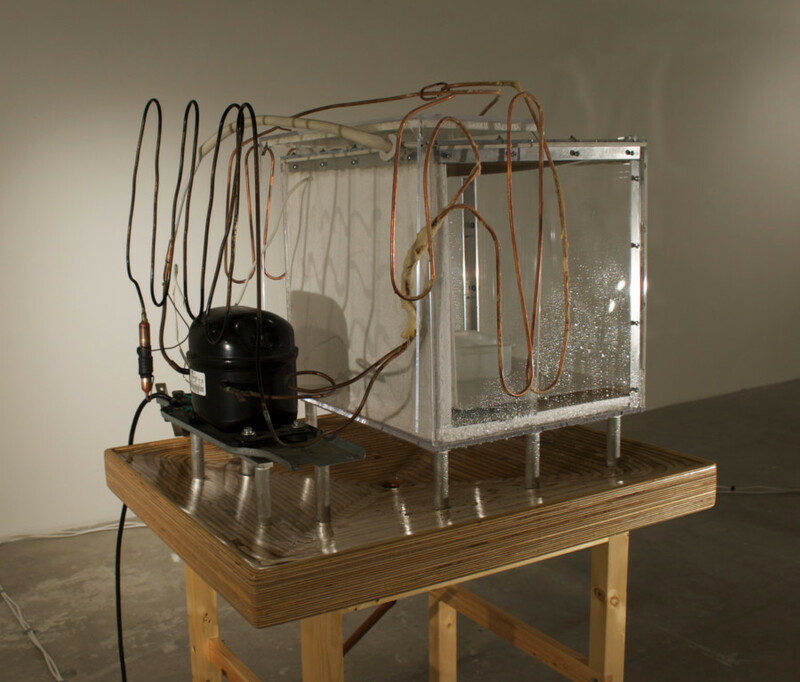 In their collaborative work, they utilize sculptural techniques, such as, woodworking, metalworking, mold making and concrete fabrication, accompanied by electric and mechanical elements. Both with a concentration in Sculpture, Yhelena received her MFA at the State University of New York at New Paltz and Michael received his MFA at the School of the Art Institute of Chicago. Yhelena and Michael have been collaborating since 2013 and their work was selected for solo shows at Sub-Mission in 2015 and Current Space (Baltimore) in 2016 and was featured in group shows at Chicago Cultural Center, Ukrainian Institute of Modern Art, and ArtHelix (Brooklyn). For further info on the artists, please visit elenahall.org and michaelhhall.org. Wilderness and Household at Roman Susan will feature sculpture from two ongoing collaborative bodies of work – Wilderness and Household: Coping with Comfort and Polished Remnants.